The Tango by We-Vibe is a discrete yet powerful mini-vibe with 8 different vibration modes. It is also rechargeable (two hours of play on a single charge) and waterproof, making it versatile and easy to clean with soap and water. The Tango by We-Vibe is a discrete yet powerful mini-vibe with 8 different vibration modes. Body-safe and hypoallergenic, the Tango is free of phthalates, latex, and BPA. It is also rechargeable (two hours of play on a single charge) and waterproof, making it versatile and easy to clean with soap and water. 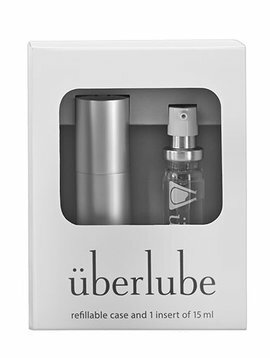 * Use only with water-based lubricants.